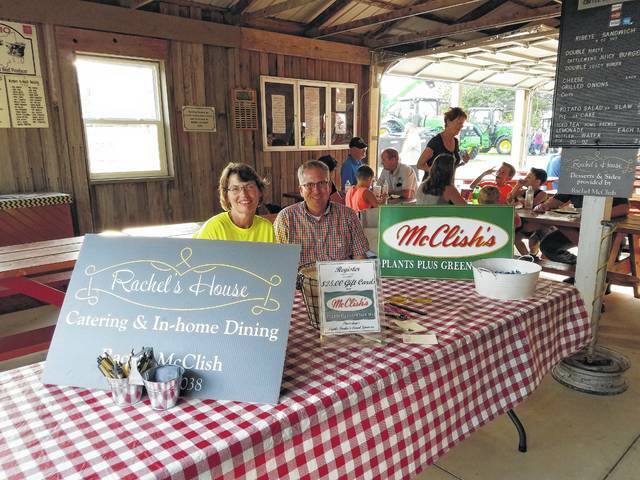 McClish’s Plants Plus Greenhouses LLC was the Fair Sponsor of the Day Thursday at the Fayette County Fair and met with Cattlefeeders’ patrons as they came in for dinner. Great Clips sponsored the Record-Herald papers Friday for patrons to enjoy a free copy of the paper at the Fayette County Fair. 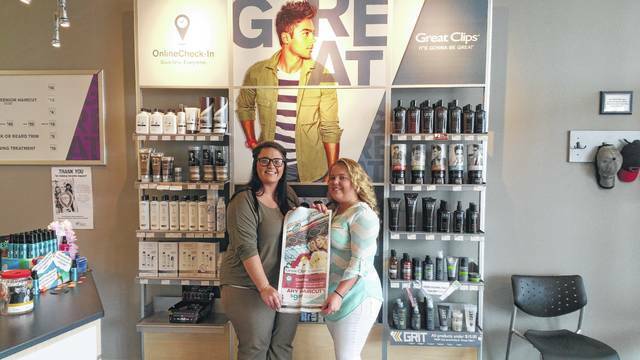 Pictured is Great Clips manager Kim Toops and Faith Brown.